I found posts where infinite MOD is being criticized because of e-liquid getting into the regulatory buttons and causing the device to auto fire. I do not know if there may be some redesign capable of stopping e-liquid from coming into contact with the electronics below the regulatory buttons. 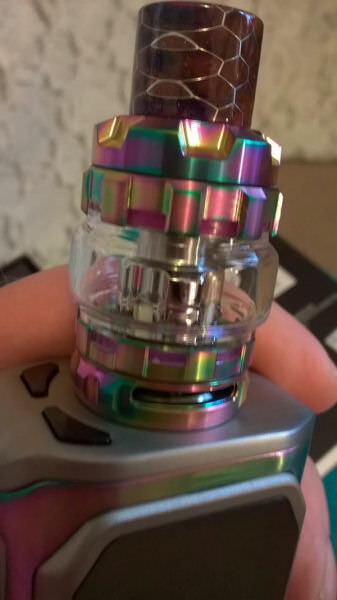 Now this is a very strange thing, because we have disassembled the whole thing and there is a little possibilty that eliquid will get to the chip or fire button. Only if you pour it on the device directly. (06-25-2018, 02:07 PM)Crazybasil Wrote: .... Only if you pour it on the device directly. Having seen how some people deal with filling and changing coils on their mods with liquid running everywhere, I don't think that's an unusual occurrence. It may be well sealed, but it's not a place where I would put a hole in any casing. "If something can go wrong, it will" is a maxim for electronics. My device is still working great, love the lights. The individual reporting the problem is using a dripper on the mod. I thought drippers are the items of the past in 2018. Who would need those on starter kits? Also, MESH! (06-25-2018, 02:07 PM)Crazybasil Wrote: Now this is a very strange thing, because we have disassembled the whole thing and there is a little possibilty that eliquid will get to the chip or fire button. Only if you pour it on the device directly.